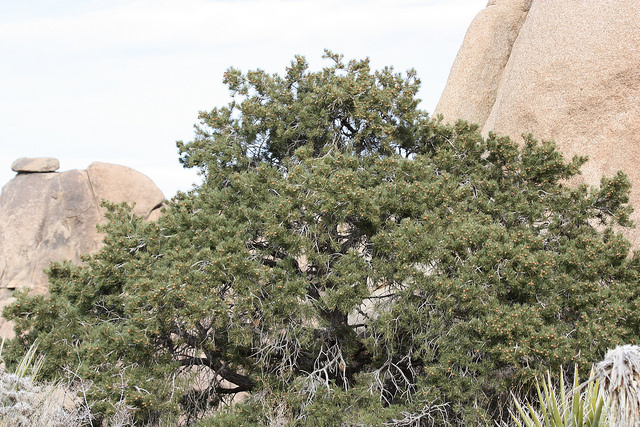 Single-leaf pinyon pine (Pinus monophylla) cones; photo by Joshua Tree National Park on Flickr (use permitted with attribution). 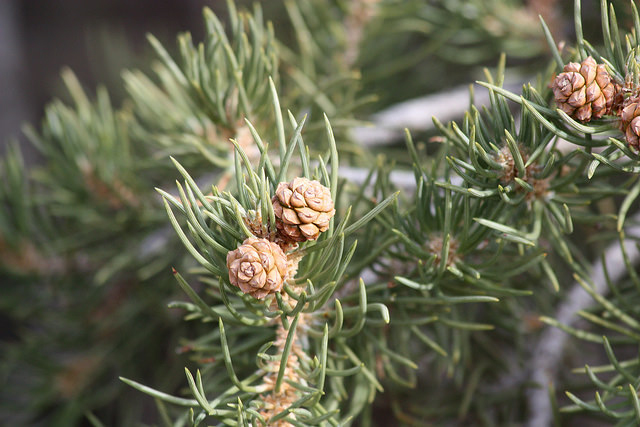 Native Americans traditionally harvested piñon tree nuts as a family, picking the ripe nuts that fell to the ground (to be roasted or eaten raw). Single-leaf pine (Pinus monophylla); NPS Photo by Robb Hannawacker courtesy of Joshua Tree National Park on Flickr (use permitted with attribution).